…from my concert tickets. 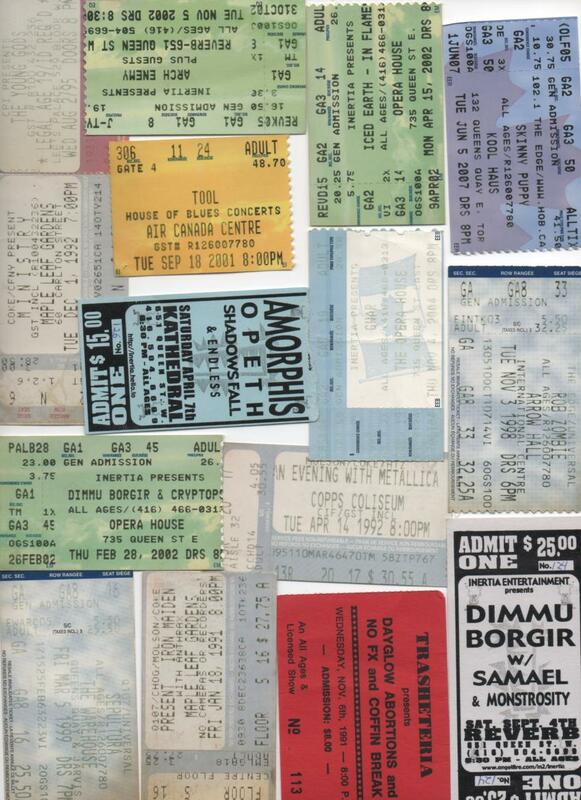 A lot of metalheads save up their gig tix for trophy value. Especially in the days before cellphone cameras, they were a great way to say “I was there!” Back then, bands and venues would confiscate pocket cameras and recording devices; now of course everybody wants you to tweet their names far and wide. A fun walk down memory lane. What do you do with your old stubs? Don’t get too excited. 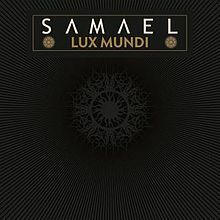 Samael seem to have rewound their sound close to the beginning and are now replaying it. In 2009 they released Above, an admitted throwback to their black metal roots that almost (and maybe should have) come out as a side-project. With Lux Mundi they continue their time-travel, this time landing about mid-career with a record that would fit comfortably between Passage and Eternal. Perhaps too comfortably. The band’s signature style is definitely on display: industrial beats with martial orchestral flourishes march steadily through each track with the pomp of a Roman Triumph. Unfortunately, while Lux Mundi (along with its accompanying Antigod EP) capture the flavour of imperial majesty, they also contain something of a parade’s tedium and contrived artificality.